Study says roaches in NYC are a lot like people. The study, which was aided by high school students and "citizen scientists," has collected 200 different versions of the insect. An ongoing study by the National Cockroach Project has found that the species of pests they've examined in three New York City neighborhoods are distinct to each area and don't travel. 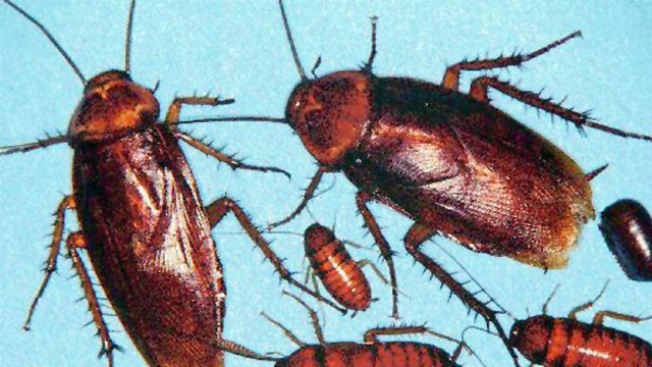 Although the study said cockroaches native to the Upper East and Upper West Sides and Roosevelt Island can and do breed with one another, they can tell each other apart based on their place of birth and prefer to stay in their home area with their own species. "The diversity was a surprise to us, and the fact that they're not just all mixed together—it's not a random assortment," Mark Stoeckle, an infectious-disease specialist and senior research associate at the Rockefeller University's Program for the Human Environment told NationalGeographic.com. "So they must be staying close to home, and they have their own neighborhoods." The study, which was aided by high school students and "citizen scientists," has also collected 200 different versions of cockroaches. Soekle also told Nat Geo that New Yorkers send in more cockroaches than anywhere else and that the pesky insects share more in common with NYers than they might think. The cockroaches are "all immigrants" and come to the city from all across the globe just like New Yorkers, Soekle said.